Market leading export solutions for Lumira, Design Studio and BW. Data analysis made easy, effective and clear! Gain more time for the essential! With our self service analytics solution biAnalytics. Available as web dashboarding tool, as well as Add-On for Microsoft Office. Create export documents from your SAP BusinessObjects Design Studio dashboards. We are able to export to PDF, PowerPoint, Word and Excel - flexible and customizable! With our Voice Skill for Baking Companies you can create your own Amazon Alexa Skill so your customers can ask Alexa about your opening hours and more! Whether it's about an extranet, portal solution, campaign pages, exporting or analytics. The open bi repository framework is the right solution for youir business intelligence sceanrio. Founded in 2007 under the name IBS Solution wir are now offering easy to use Business Intelligence Solutions. Our portfolio contains Add-Ons and Products in the deprtment of SAP BW, as well as solutions for analysing and defining business processes for example in the department of marketing and sales. The open bi framework froms the heart of our softwware solutons. This technical plattform acts also as a business plattform. This symbiosis containing a technical and entrepreneurial Platform is our Business Platform 4.0: Integration of every data source of a company for ideal controlling of ist processes. This is the foundation for our vision, to reinterpret the matter Realtime BI. Are you interested in of our products? In our bi blog and the biAnalytics blog we are talking about our newest functions and products and also providing helpful trainings and tutorials for you. Make sure to visit our website every once in a while to read the newest content. Since SAP renamed their SAP BusinessObjects Design Studio product to SAP Lumira Designer, we have taken the opportunity to also rename our open bi Export Plugins in the upcoming 2.4 release. Here is a before / after chart which visualizes these name and also dependency changes. Before upgrading to the new open bi Export version make sure to delete all existing open bi Export plugin DLLs inside the "OPENBI\httpserver\plugins" folder. With the export functionality we can bring fantastic solutions to our Design Studio users. Great tool, fantastic performance and powerful design options. The bi excellence DS Export Toolset brings all the export functionality missing to Design Studio. High-Quality Export, PowerPoint Export, Multiple reports calls with a smart interface. 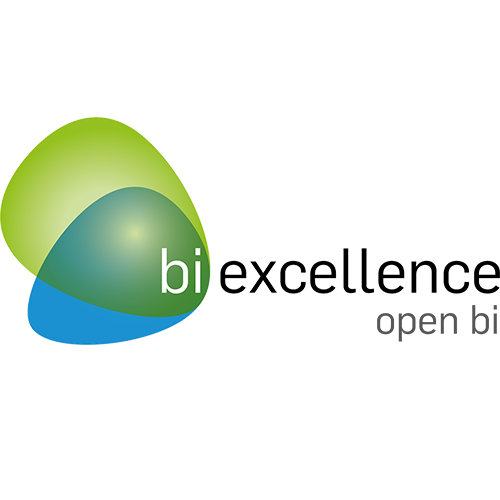 bi excellence Software GmbH is a business intelligence company from Dossenheim, Germany. With more than 11 years of experience bi excellence provides a variety of solutions in the fields of analytics, export, portal solutions and artificial intelligence.